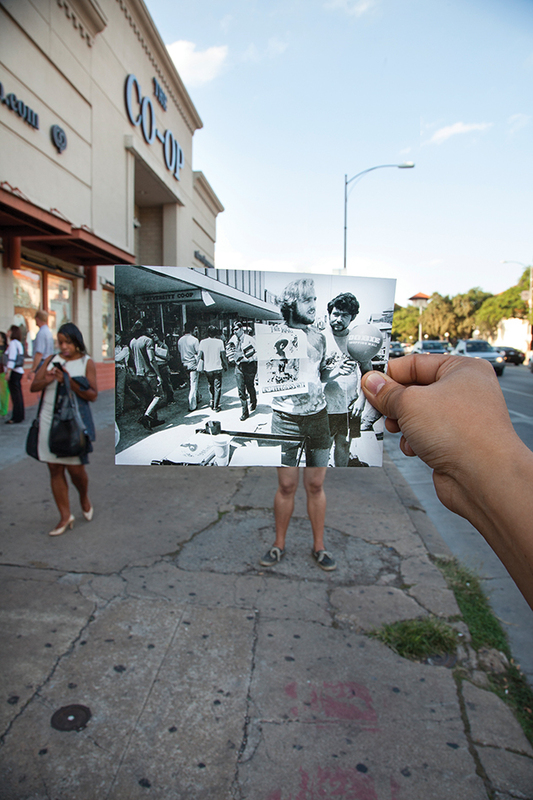 Snap a picture of an old photo print just where it was taken decades earlier, and something magical happens. taken from the Union courtyard. 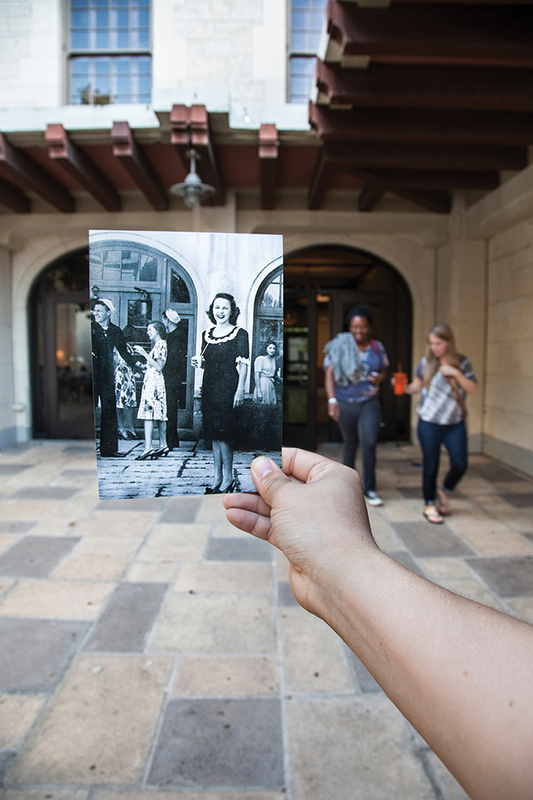 Original photo dated 1944.
which was renamed the Walter Cronkite Plaza in April. 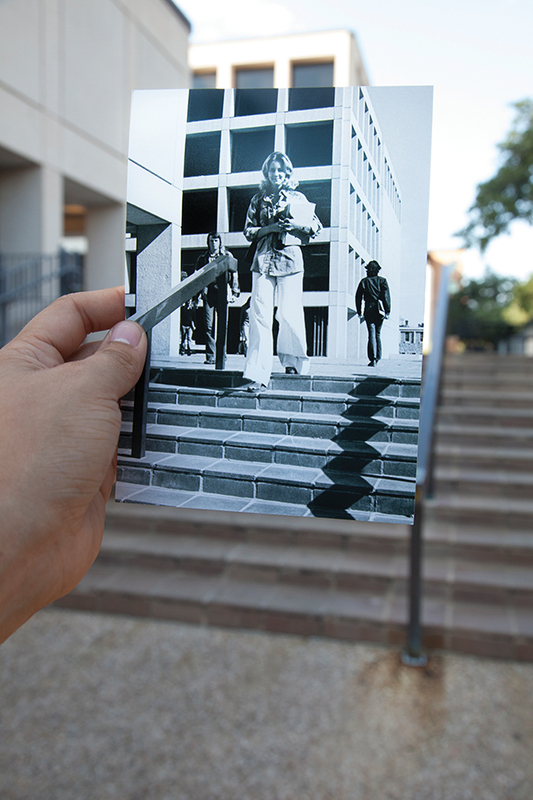 Original photo circa 1974-82.
looking out toward the State Capitol. 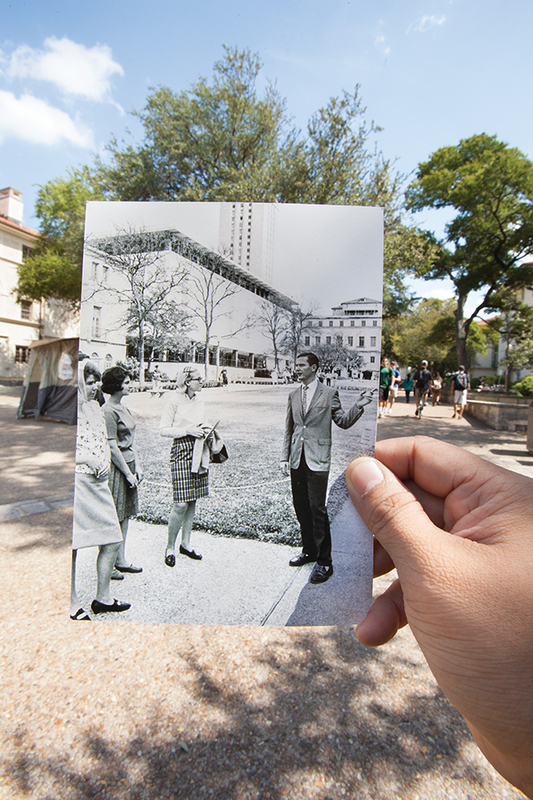 Original photo circa 1968-74.
which now sports a little less grass and much taller trees. in front of the University Co-op. Original photo circa 1966-77. 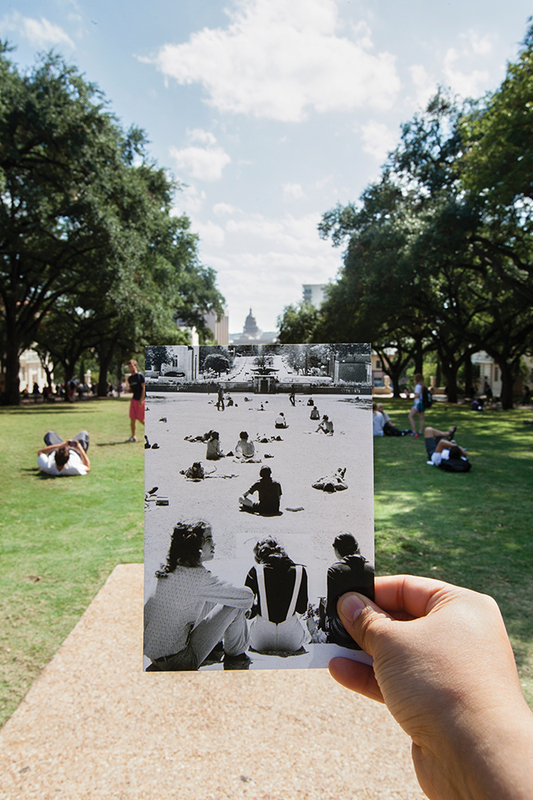 See more “Dear Photograph“-style photos of the UT campus here.